Usually when I’m looking into a bucket of fried chicken, I’m searching for a good bit of batter, a drumstick… my self respect. The one thing I really wouldn’t want to find would be a rat head. Unfortunately for Newyorker Rosemary Thomas, her daughter is scarred for life after finding this unsavoury vermin in Harlem, according to Elite Daily. They bought the chicken from a popular joint, Popeye’s, which has been serving up Southern Fried Chicken to the U.S. people for 40 years. The chicken chain has over 2,000 stores in over 40 states, but its Twitter page is inundated with apologies for different strange items appearing in the food… Roach legs and plastic to name a few. Ms Thomas took to social media to spread the word after hearing nothing back from the New York News desk. It did the trick and Twitter went mad after seeing the gruesome photo which left everyone worrying about whether they had accidentally eaten rat. 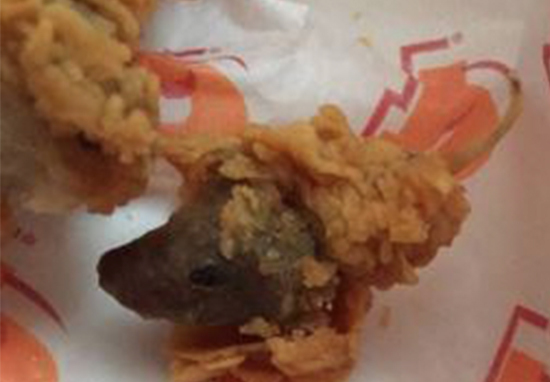 This is clearly a rat and they have the nerve to have a 5 star rating by the department of health. Think about all the other rat that have been served and the lasting effect this will have on my daughter, niece and sister. Not sure if I’d notice the difference to be fair. 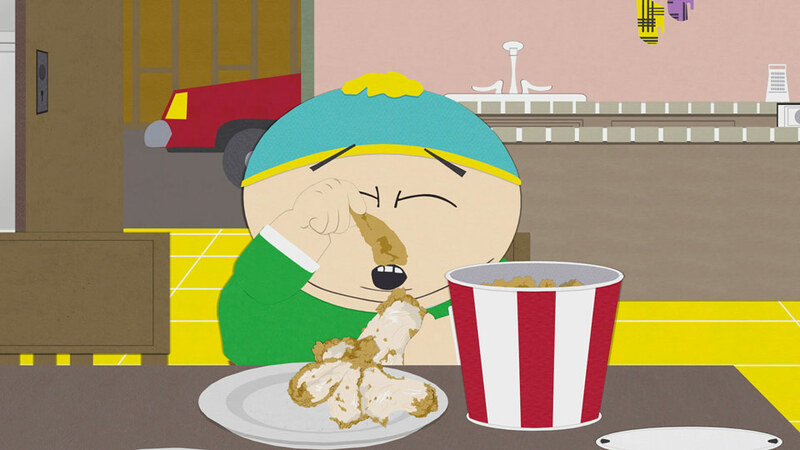 Like Cartman, I mainly focus on that delicious batter. Surprisingly, the shop received an A grade from the Department of Health on April 21 2016, but the previous year the facility was branded as “not vermin proof” and has “harborage or conditions conducive to attracting vermin to the premises and/or allowing vermin to exist”. According to the New York Daily News, Rosemary’s daughter was taken to an urgent care facility after suffering diarrhoea and vomiting. This would definitely put me off for life. Unfortunately for Newyorker Rosemary Thomas, her daughter is scarred for life after finding this unsavoury vermin in the Harlem, according to Elite Daily.